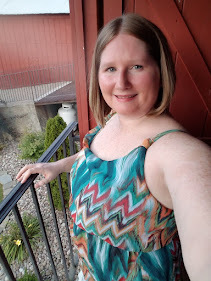 Amanda (Whom's blog I have never read before, but it's fab!) 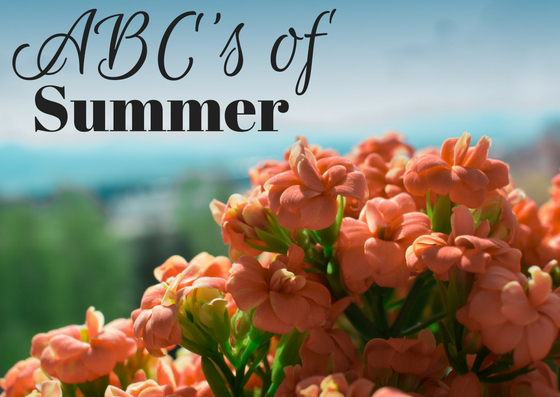 I wanted to post an ABC's of Summer because this is going to be a new experience with me having an infant. Blankets. I plan to spend as much time outside with my little dude, which will require lots of blankets. Think things like star gazing and picnics. Corn on the cob. I love fresh sweet corn on the grill. It's a summer staple around here. Drive in. Probably the only way I am seeing movies this summer since we can bring bloob. Exercise. I am going to be getting outside as much as possible to get those workouts in. Most of these will require me to either wear little man in a carrier or a stroller. Bring it on! Fireworks. You can usually find fireworks somewhere in the summer. Fourth of July will be a first for us with baby bloob, so we will see how that goes. He needs a pair of noise headphones to protect his little ears! Garden. We will spend a lot of time home this Summer, so our garden will be a priority. Host get togethers. It is easier for us to have our friends and family over then travelling with the little one. Ice cream.. I mean is there any other option? June and July. We get long days and shorter nights. The weather is warm and the festivities are aplenty. Kite flying. I haven't flown a kite since I was a kid. This will be something fun for little man to look at. Leisurely evening walks with the baby. Meteor showers. Summer is always a great time to look up at the sky. Introducing this to little one will hopefully be soothing for him. New adventures. New baby means new things. Open windows. Warm days means windows are down in the evening to cool off the house. Parks. Time to explore some new parks this year. We got a NY State park pass and we plan to utilize it as much as possible. Whether we are just chilling out or hiking. Quick meals. Always on the go, plus who wants to cook a full on dinner when its hot outside? Road trips. These will consist of day trips until bloob does better for longer periods of times in his car seat. Swimming. Gotta get the baby in the pool! Try a new restaurant. So many in this town and we haven't even scratched the surface. Also need to become familiar with the family friendly spots who wouldn't mind a crying baby once in awhile. Unplug. It's time to live in the moment so I don't miss any sweet moments with my little man. Vacation. I'm ready for one! Maternity leave did not count! Watermelon. We are growing them in our garden! Can't wait to have some to eat! X marks the spot. Not sure what X is right yet, but I'll let you know when I find it. Yoga. It's time. I need to get back to it for my sanity and to get my body feeling good again. Zoo. We have been meaning to go visit April the Giraffe and her baby Tajiri. Tell me what your Summer ABC's are! Friday Feels and Other Fun Stuff!